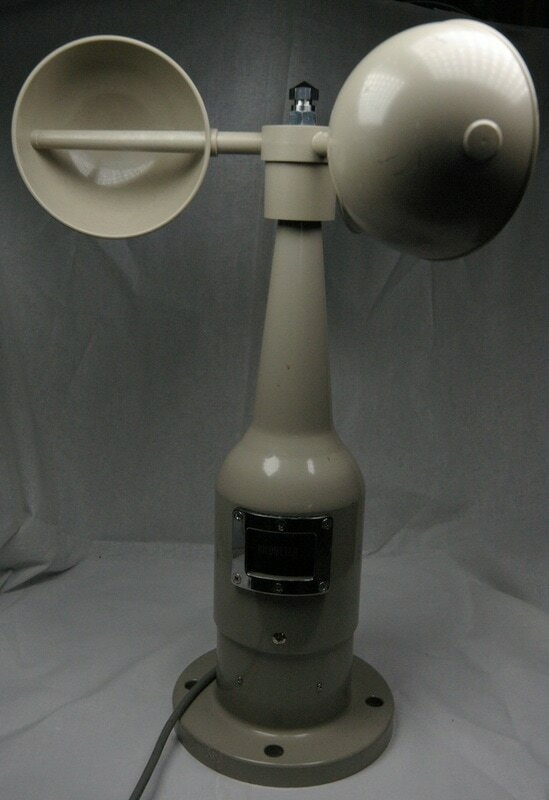 This is a NovaLynx Model 2511 totalizing anemometer. It's not shown in the 1975 WeatherMeasure catalog, so I suspect it dates from the 1980s or newer. 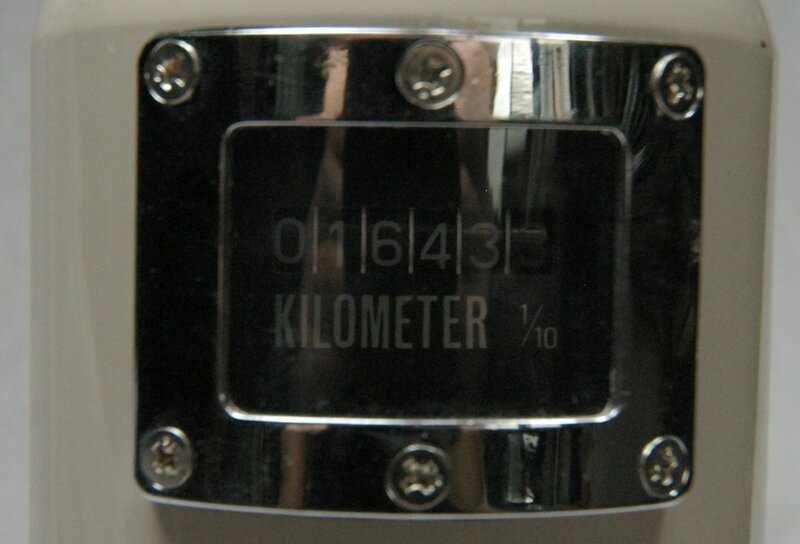 It measures the air flow in kilometers, to the tenth of a kilometer, using a mechanical odometer-type indicator. If it is operated for one hour and a reading is taken, it indicates the average wind speed in kilometers per hour. I don't see a way to rest the odometer. It's rather large, about 20 inches tall with 4 inch diameter cups. I don't have a manual for it, if anyone can send me a PDF. It has a cable that provides an electrical contact, but I don't know if the contact is made every rotation or every tenth of a kilometer.